I wanted ice cream tonight, but decided to make this instead. 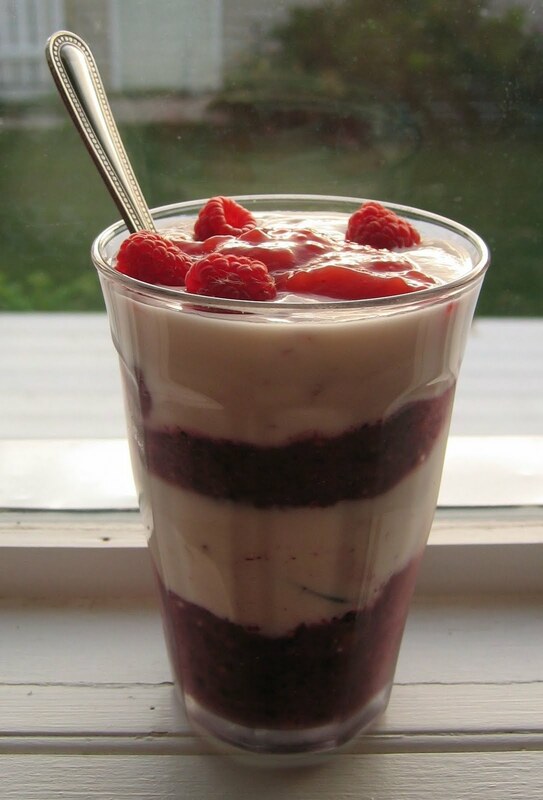 It's sort of a fruit smoothie/parfait made from frozen banana, frozen blueberries, fresh raspberries, and some orange juice, blitzed with a handblender, then layered with yogurt. I topped it with some berry syrup I made from the batch that I had yesterday, and a few fresh raspberries on top. It was a bit too much for me to finish, so I shared it (reluctantly) with my husband. Yum!